Safety is a number one priority at Aerial Solutions. All ASI employees receive initial training and Safety Orientation Training at our North Carolina facilities that are specific for their job. Each employee receives training in CPR and First Aid, along with required DOT training. 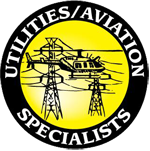 Aerial Solutions Safety Orientation utilizes the PowerSafe On-Line Computer Based Training System, specifically developed by the Safety Council in conjunction with Utilities. The PowerSafe System provides an efficient and standardized, OSHA based awareness program for new hires and annual refresher courses specific to Customer requirements and provides a validated and auditable system. In addition, each ASI Crew maintains an Emergency Action Plan specific to the days work location and a daily “Tailgate” safety session specific to the task at hand and general reminders to provide a comprehensive approach to Safe Work Practices.